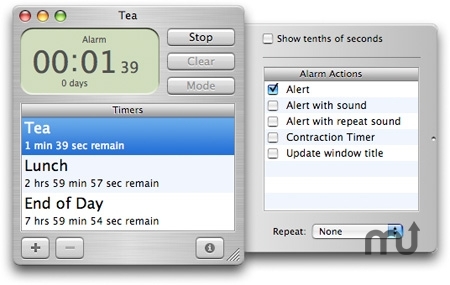 Desktop timer with a clean, instinctive interface. Developer website: Apokalypse Software Corp.
Is there a better alternative to Clockwork? Is Clockwork really the best app in Desktop category? Will Clockwork work good on macOS 10.13.4? Clockwork is the stylish way to always be on time. Unlike the alternatives, Clockwork packs its punch in a clean and easy-to-use interface that looks great on your desktop. Updated ownership and website info. No changes in features at this time. Clockwork needs a rating. Be the first to rate this app and get the discussion started!